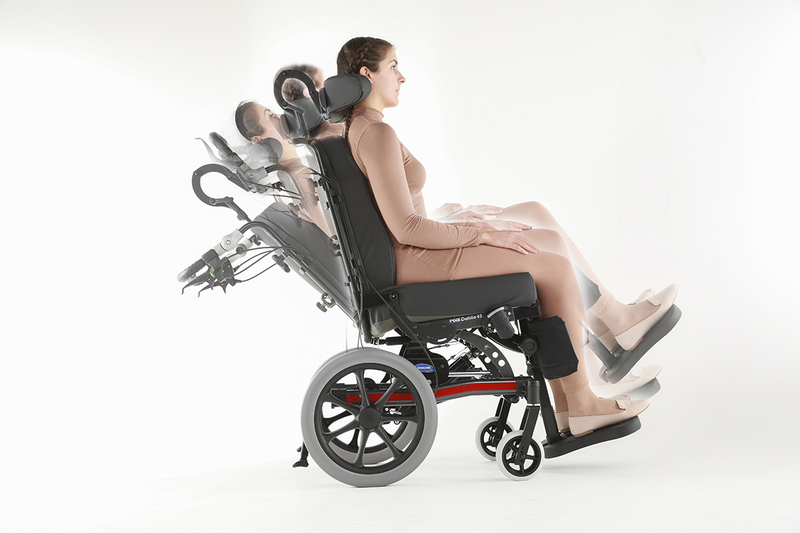 All Rea® Passive wheelchairs have a tilt with weight shifting abilities. (Clematis to a minor extent) resulting in added stability. Clematis 20°, Azalea 25°, Dahlia 30° respectively 45°.